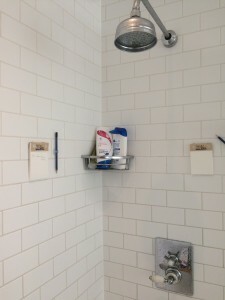 In the past I’ve written about how to come up with ideas and also my morning routine. But how do I specifically remember ideas? 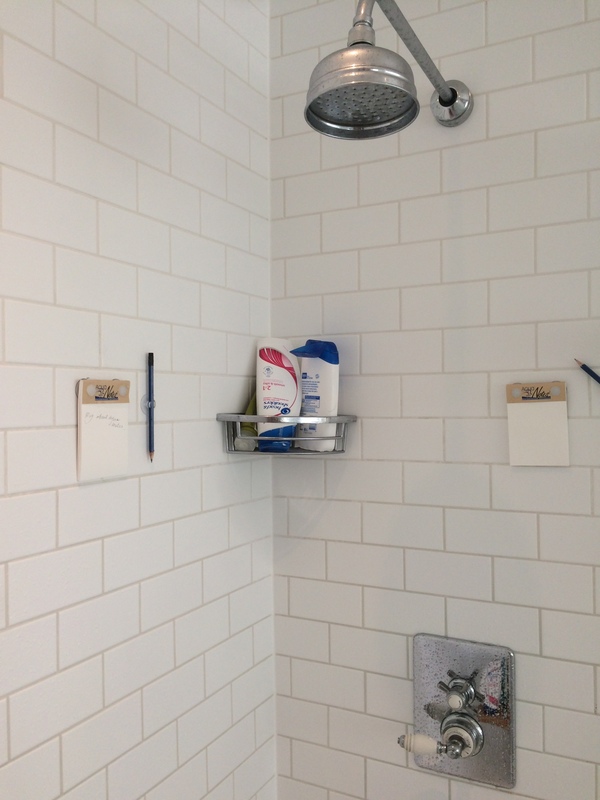 Well, my best ideas come in the shower first thing in the morning. 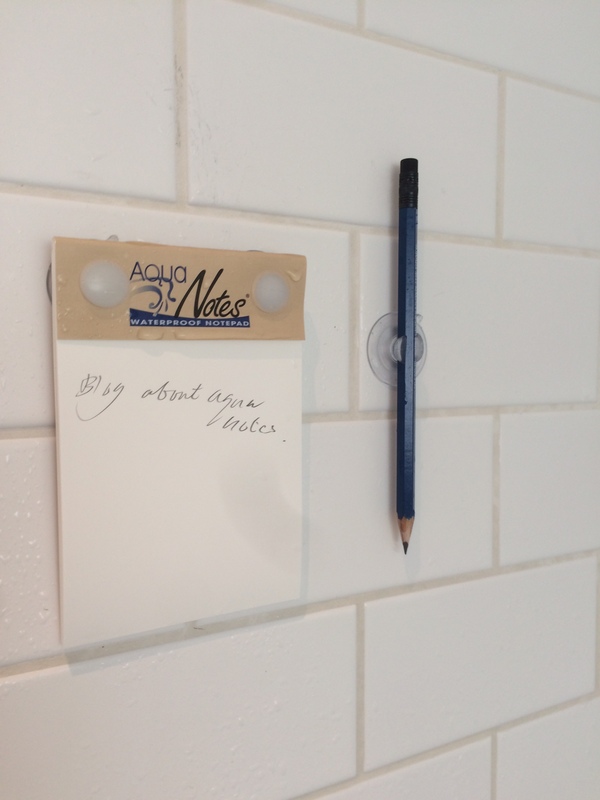 So I’ve found a way of scribbling them down there and then: I use “Aqua Notes” (pictured above in my shower)! 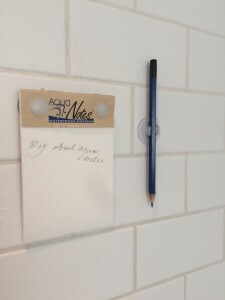 When I’m dried up, I then transfer my scribbles to either my to-do app called “Things” or my note-taking app called “Evernotes“.